How a church lost everything and gained what matters most. In 1763, George Washington visited The Falls Church and declared its building “rotten and unfit for repair.” A fine brick colonial church was soon built on the spot. It witnessed key moments of American history, but by 1979 the church had become a sleepy place. A young pastor and a renewed focus on Jesus changed that. Within a decade, the church was building a new sanctuary to host thousands on its historic property. But the faith that fueled this growth ran into conflict with a mainline denomination. Division and costly litigation ensued. The church lost the priceless land that Washington had once graced. Was it worth the cost? What would happen after such a loss? 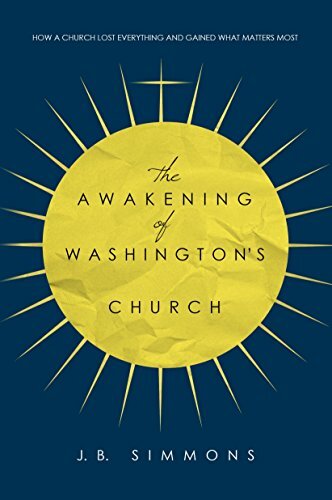 Washington’s church awakened, and not in ways anyone could have predicted. All royalties will be donated to The Falls Church Anglican.